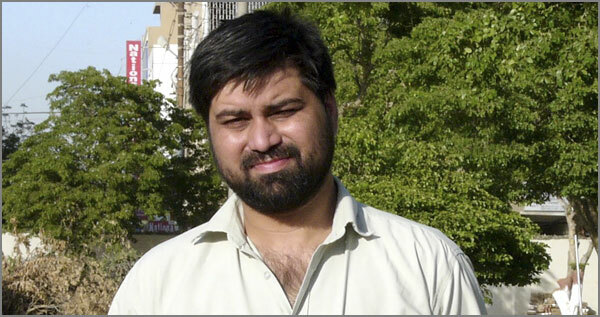 Syed Saleem Shahzad, the Pakistani journalist whose body was found in a canal outside Islamabad last week. That Al-Qaeda view of the US-NATO war in Afghanistan, which Shahzad reports in the book based on conversations with several senior Al-Qaeda commanders, represents the most authoritative picture of the organisation’s thinking available to the public. Shahzad’s book Inside Al-Qaeda and the Taliban was published on May 24 – only three days before he went missing from Islamabad on his way to a television interview. His body was found May 31. Shahzad, who had been the Pakistan bureau chief for the Hong Kong-based Asia Times, had unique access to senior Al-Qaeda commanders and cadres, as well as those of the Afghan Taliban and the Pakistani Taliban organisations. His account of Al-Qaeda strategy is particularly valuable because of the overall ideological system and strategic thinking that emerged from many encounters Shahzad had with senior officials over several years. Shahzad’s account reveals that Osama bin Laden was a “figurehead” for public consumption, and that it was Dr Ayman Zawahiri who formulated the organisation’s ideological line or devised operational plans. But Shahzad’s account makes it clear that the real objective of Al-Qaeda in strengthening the Taliban struggle against US-NATO forces in Afghanistan was to continue the US-NATO occupation as an indispensable condition for the success of Al-Qaeda’s global strategy of polarising the Islamic world. Shahzad writes that Al-Qaeda strategists believed its terrorist attacks on 9/11 would lead to a US invasion of Afghanistan which would in turn cause a worldwide “Muslim backlash”. That “backlash” was particularly important to what emerges in Shahzad’s account as the primary Al-Qaeda aim of stimulating revolts against regimes in Muslim countries. What Al-Qaeda leaders feared most, as Shahzad’s account makes clear, was any move by the Taliban toward a possible negotiated settlement – even based on the complete withdrawal of US troops. Al-Qaeda strategists portrayed the first “dialogue” with the Afghan Taliban sponsored by the Saudi king in 2008 as an extremely dangerous US plot – a view scarcely supported by the evidence from the US side. Shahzad reports that one of Al-Qaeda’s purposes in creating the Pakistani Taliban in early 2008 was to “draw the Afghan Taliban away from Mullah Omar’s influence”. The Shahzad account refutes the official US military rationale for the war in Afghanistan, which is based on the presumption that Al-Qaeda is primarily interested in getting the US and NATO forces out of Afghanistan and that the Taliban and Al-Qaeda are locked in a tight ideological and strategic embrace. Shahzad’s account shows that despite cooperative relations with Pakistan’s ISI (Inter-Services Intelligence) in the past, Al-Qaeda leaders decided after 9/11 that the Pakistani military would inevitably become a full partner in the US “war on terror” and would turn against Al-Qaeda. The relationship did not dissolve immediately after the terror attacks, according to Shahzad. He writes that ISI chief Mehmood Ahmed assured Al-Qaeda when he visited Kandahar in September 2010 that the Pakistani military would not attack Al-Qaeda as long it didn’t attack the military. He also reports that Pakistani president Pervez Musharraf held a series of meetings with several top jihadi and religious leaders and asked them to lie low for five years, arguing that the situation could change after that period. According to Shahzad’s account, Al-Qaeda did not intend at the beginning to launch a jihad in Pakistan against the military but was left with no other option when the Pakistani military sided with the US against the Jihadis. The major turning point was an October 2003 Pakistani military helicopter attack in North Waziristan which killed many militants. In apparent retaliation in December 2003, there were two attempts on Musharraf’s life, both organised by a militant whom Shahzad says was collaborating closely with Al-Qaeda. Next article – Culture & Life – Police State?